first of all, the URL rewriting has been improved, for the native SEO feature of Joomla and third extensions like SH404 for example. You will be able now to manage the aliases of each page of the component. you can also edit the meta data (title, description and keywords) of all the pages of the component, directly from the backend of Joomla. Some minor bugs on display (with Internet Explorer) have been corrected too, in the legals administration form. This new release is provided as an archive to unzip before installation. 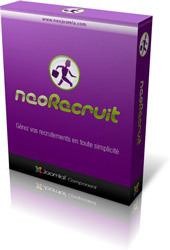 You will find the component in this archive, that you can install directly from the Joomla extensions manager, and an upgrade patch, to be able to upgrade your current version of neoLegal without losing any data. If you want more information about NeoLegal, you can visit the page of the component or test it online on our demo website. modification of the default ordering of the new records in backend (levels, contracts, ...). An installation and upgrade manual is provided with the component, to help you to use this new version as easily as possible. And if you already purchased a license, you can get this new version for free directly in the section "My Files". 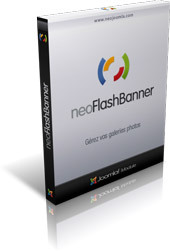 With this new release, the NeoFlashBanner module is now available in french and in english. An additional parameter has been added too in the administration form of the module, in order to define how to open the window when the banner is clickable. This new release fix some bugs too, caused by the URL rewriting. The targeting error is now fixed, the images are linked to the variable $live_site.